5th grade Judaic Studies Teacher Baila Brackman likes to do Chanukah projects with her students that are not only fun to do together, but also bring the lessons of Torah alive by teaching the children about giving. 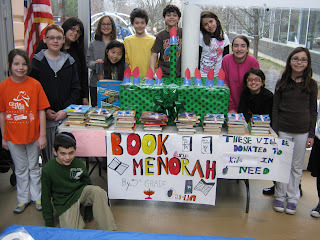 Each year's class decides on what items to collect, and builds a menorah out of them. 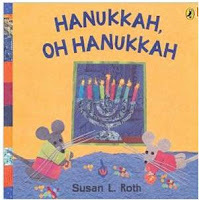 Sometimes that building can be a little challenging as it was with last year's menorah made out of toys. 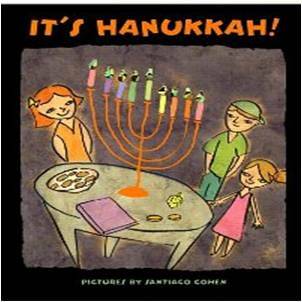 After celebrating with their menorah, the class donates the items to a charitable organization. This year's menorah was made of books. Last year's was made of toys, and before that, a "canora," made of canned food even stood up to being lit. Happy Chanukah to all our families and friends! 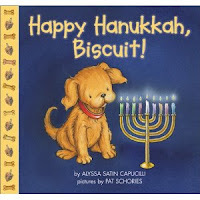 Exploring the miracle of Chanukah can entail many things – songs and storytelling come to mind, so do arts and crafts. But how about learning the scientific method? 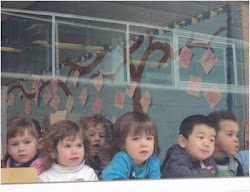 In the Peach Room at Akiba-Schechter, the four-year-olds wondered how long oil usually lasts when it is burned. 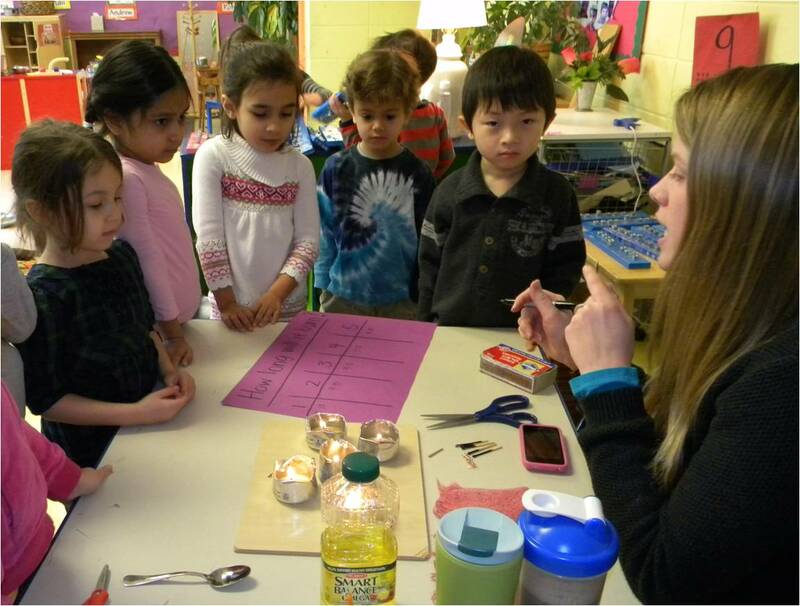 Together they created five oil-burning candles using simple supplies: aluminum containers, cooking string, cooking oil, copper wire, and matches. They twisted the wick holder, put the cooking string through the holder as the wick, poured in the oil and lit the candles. That was the arts and crafts part of the project. Next, the children predicted how long the burning candles would last. Predictions were logged in a chart. Many of the Peach Room students thought the candles would last eight days. But as they observed the candles burning, they began to recognize that the candles easily go out or burn through the oil, so they revised their predictions. 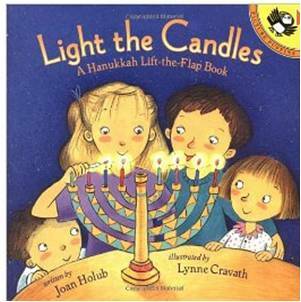 In the end, the children's longest burning candle lasted for seven hours! 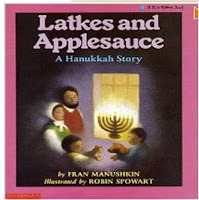 This hands-on experiment helped the children better understand the great miracle of Chanukah, but it also just happened to introduce them to the idea of coming up with a hypothesis, setting up an experiment, gathering data, and examining the results. A variety of Chanukiot (menorahs) get lit for Chanukah. 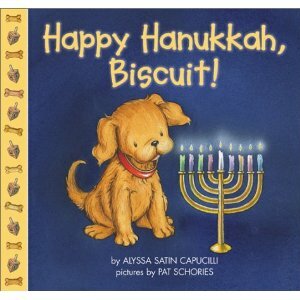 Biscuit, the puppy, is invited to celebrate Chanukah at his friend Sam’s house. Sing along with the cute mouse family and enjoy the lovely paper-cut illustrations. 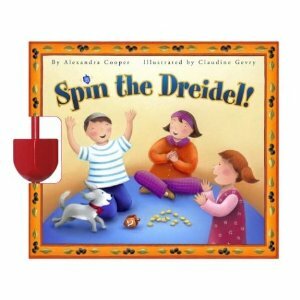 The dreidel song you know and love plus a few new verses. It’s hard to resist these bold, colorful illustrations set against the black pages. The little something extra? Sparkly candle flames! Learn how fun and easy it is to play the dreidel game - a dreidel is attached! 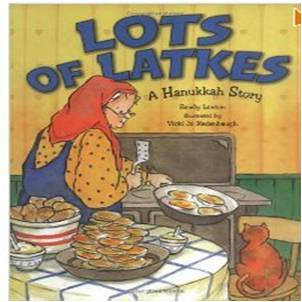 Everyone was going to bring food to share at the Chanukah party. Only one person was supposed to bring latkes…read this funny story and find out why everyone ended up bringing latkes! An old woman is busy frying latkes to serve to the Rabbi when he comes to celebrate Chanukah at her home. A bear follows the delicious smell of latkes right into the old woman’s home. 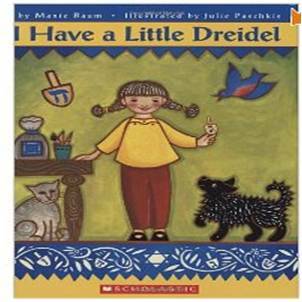 The old woman does not see very well, and mistakenly thinks that the bear is the Rabbi. Read this funny to story to find out what happens next. Long ago, in a village far away, a family sadly realizes that this Chanukah they will not be able to have latkes and applesauce. An early blizzard covered the potatoes and apples needed to make their favorite foods. 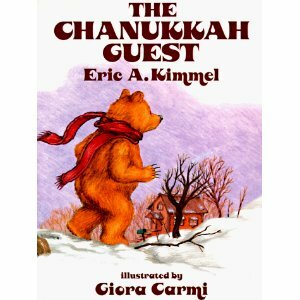 It would take a miracle… Read this clever story to find out how the family ends up having a happy Chanukah after all.